Home Brushes	Rae Morris brush set, finally ! 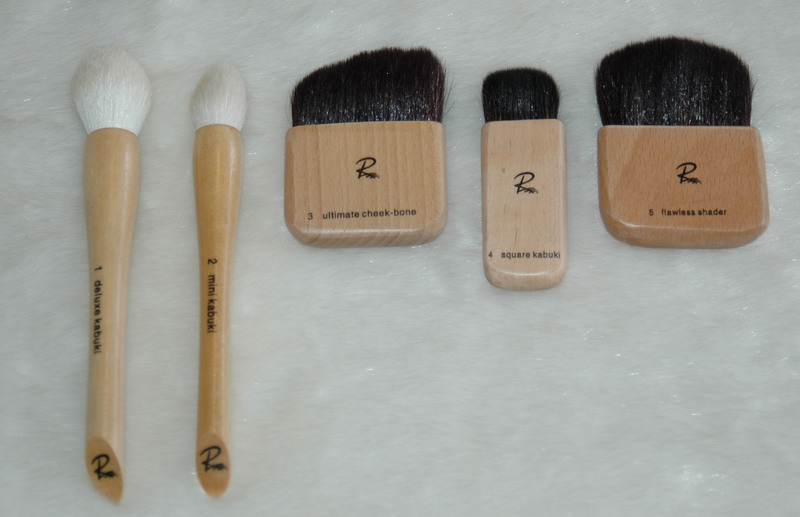 I have finally decided to get this wonderful brush collection from Rae Morris. These are my first impressions and first pictures of the Rae Morris brush set freshly arrived, a more detailed review will be available soon. Since there isn’t a lot of information online, I hope this already gives you an idea of what you are getting if you order the big set. I ordered mine directly from Rae Morris web site, when you click on “Brushes” you can see the “27 piece professional brush range personally designed by Rae Morris”. 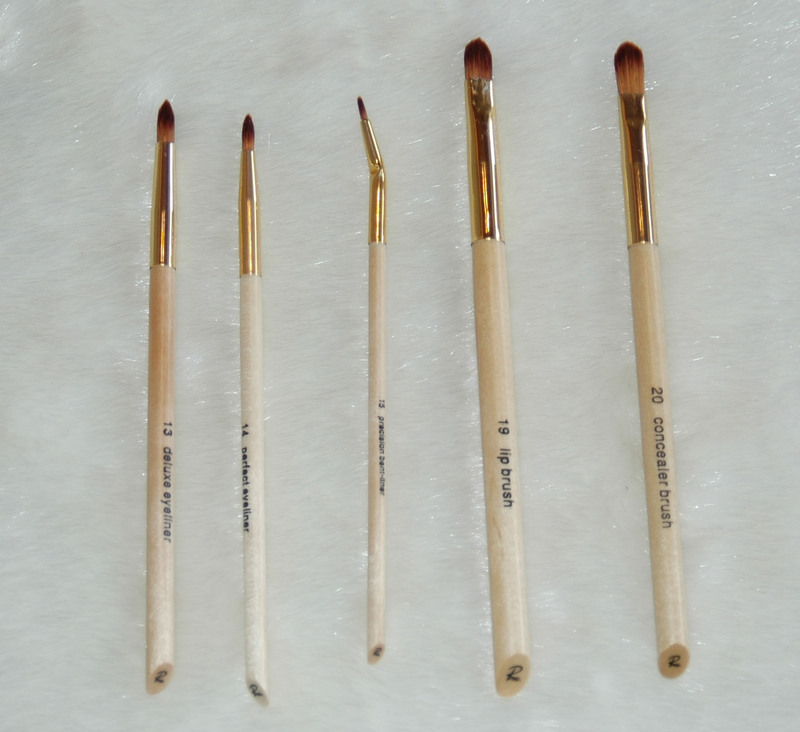 In the listed brushes, there is also the Radiance brush and you may think it is included in the set, unfortunately it is not. 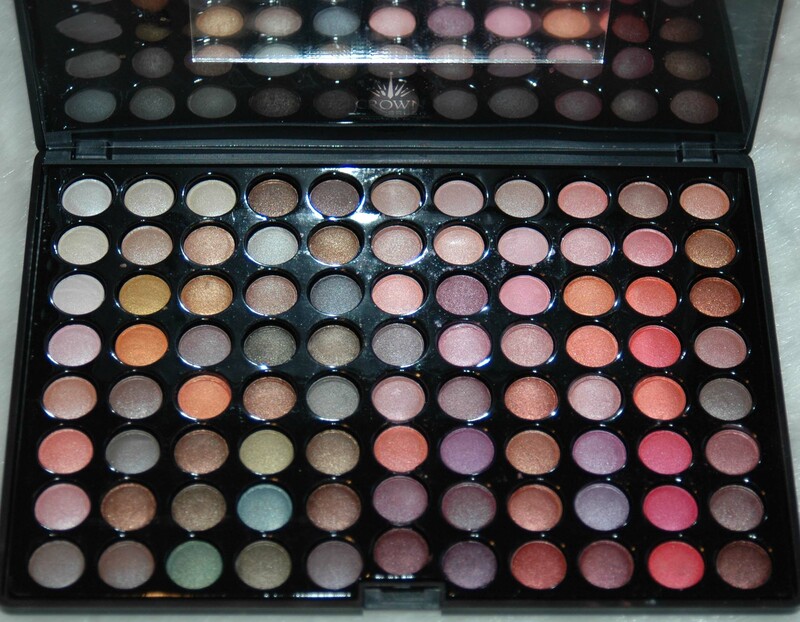 In the shopping bag page the Radiance is also shown, but I have received 26 brushes in total, without the Radiance brush. I selected “UK and Europe” since I am in Switzerland. 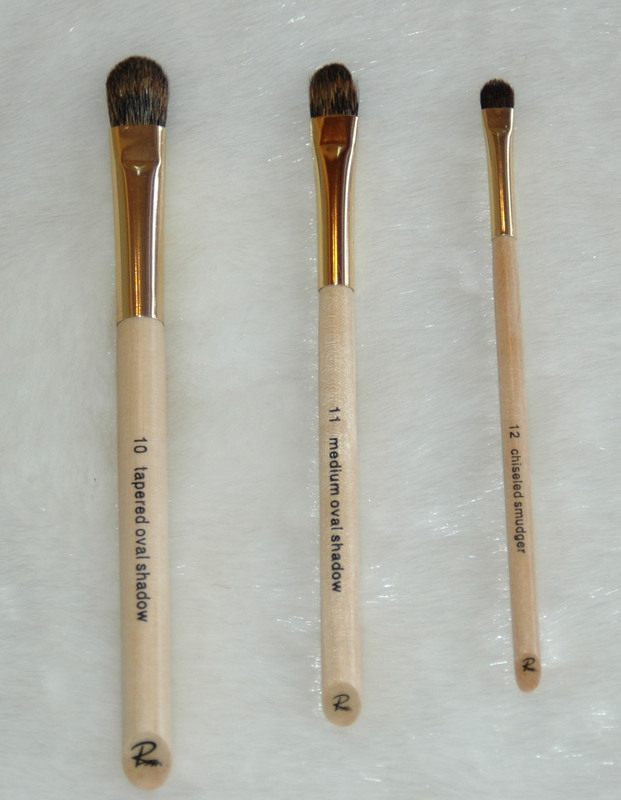 If you look carefully at the brushes shown in her site, two brushes are slightly different from what I have received. When I watched Wayne’s review on Youtube I also noticed I did not receive the same brushes as he did, same with Jodi. Jodi made an excellent review on the set as well, both video links at the end of this page. 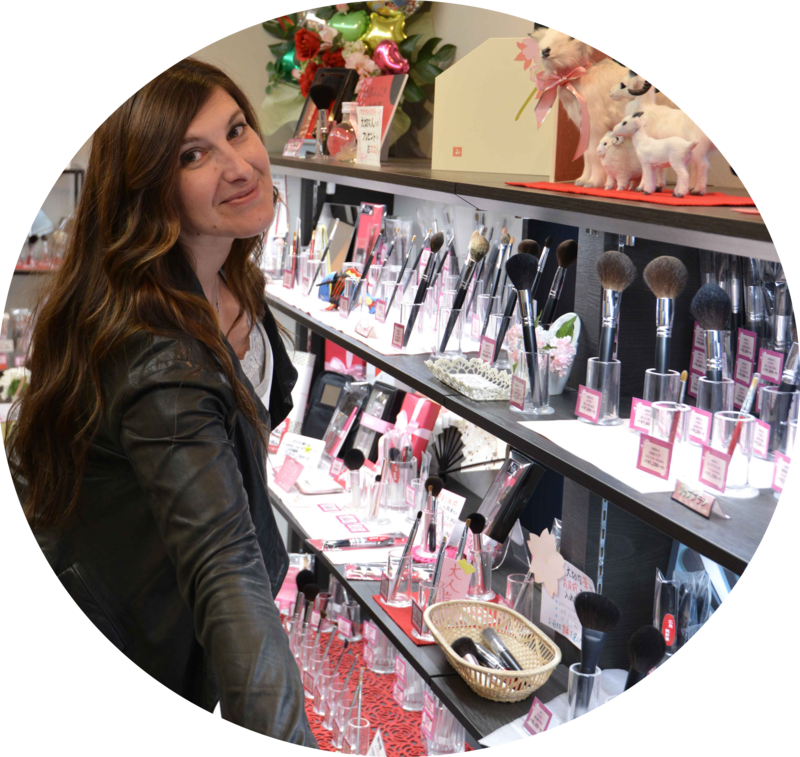 Jodi’s video is extremely helpful since she also reads all the brushes description written in the little book she received with her set, as I did not receive it, that was very useful ! I wanted to track my order but the tracking link I received in the email order confirmation did not work, the site said that no order had been made… I was worried and contacted them, they confirmed that it was certainly ok and not to worry… so even if the tracking link did not work, the order was correctly processed. Now, onto the brushes, you will receive 320 g of brushes in a 3 kilo package… very carefully wrapped. 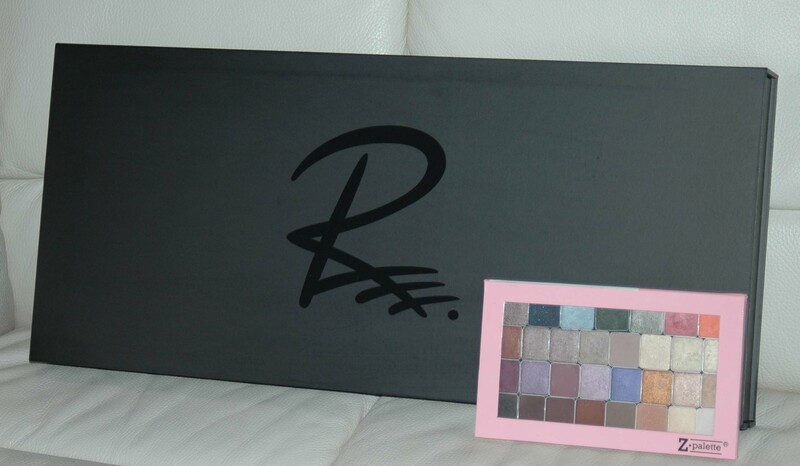 The Z palette is just for size reference, it is not included! Here are the face brushes, as you see two of them are not exactly the same as Wayne’s or Jodi’s (same number and name but the shape and color of the hair are different), they are the 22 Pro Powder and the 23 Micro-Fibre Foundation. 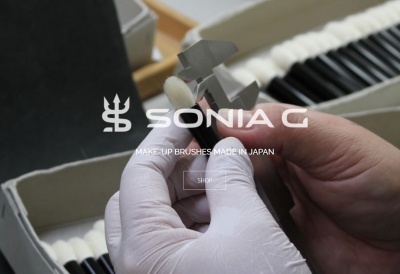 Some still have residue on the ferrule, you need of course to wash them before use. Maybe you can see it on the 19 in the picture below. I will start using them as of tomorrow and will review them and take better pictures as soon as possible. This is the list of the brushes with the sizes in cm and the weight in grams (sorry my kitchen scale is not extremely precise, brushes under 1 g were not even detected), this can give you an idea if you want to compare them to your current brushes. 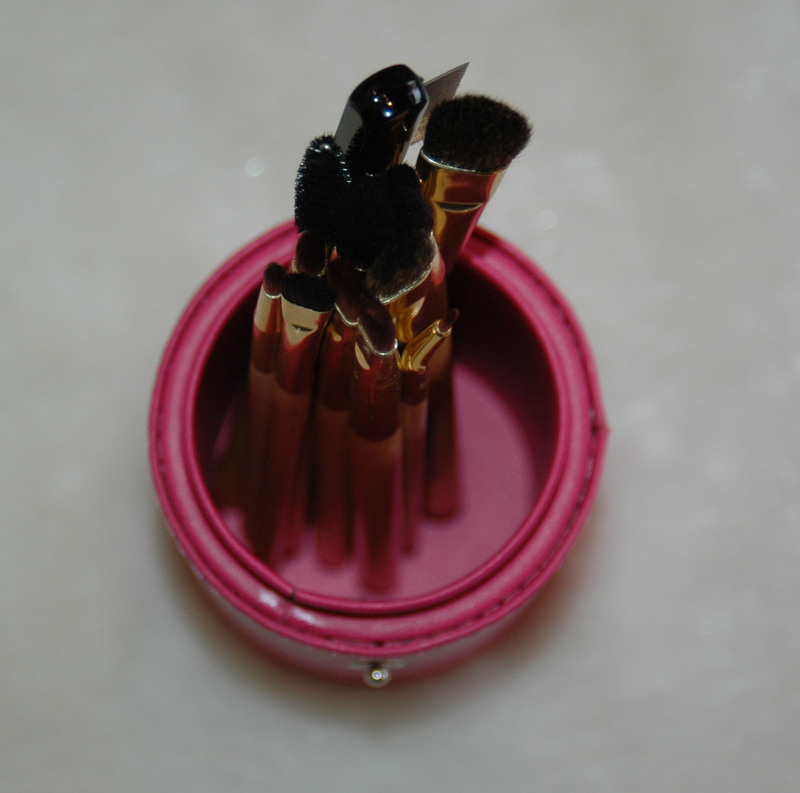 Below is the Pro Powder (22), in Wayne and Jodi’s set, their 22 brush is white and more pointed. 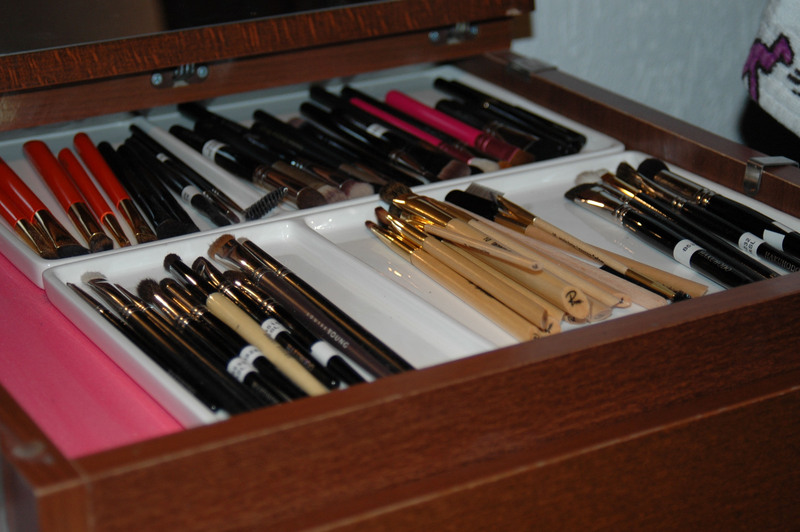 This is how I organize my brushes, flat in my Ikea chest drawer. The problem is that with the magnetic brushes, they just stick together and there is no way I can put them there, not practical at all since I cannot close the Ikea anymore, the drawer is not very deep. It does not get much better in a cup, they just stick together and you need both hands to separate them and pick the brush you want. I would have preferred if they weren’t magnetic at all. 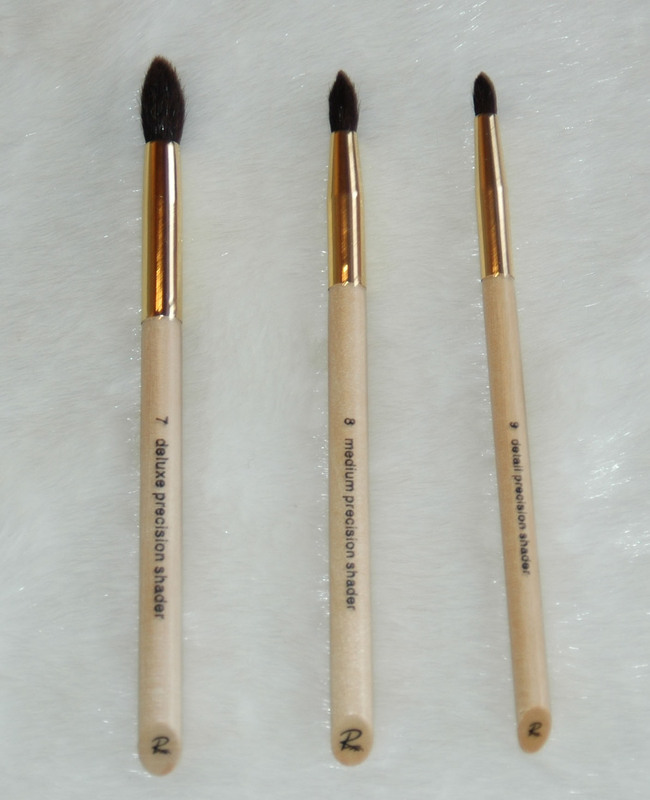 The Bamboo handles are so light, I work better with heavier brushes but these will certainly apply make up beautifully, I have to use all of them first and let you know what happened, please come back for more detailed info soon ! In the meantime make sure you watch Wayne and Jodi’s excellent reviews ! Rae Morris brush set, finally ! was last modified: August 18th, 2013 by Sonia G.
I have been using them for the last few days and I have already taken the pictures for the follow up review, everything will be uploaded this weekend. I am afraid I agree entirely with the quality issues and I will share my experience with all of you. I will give you my honest opinion and explain why I will, or will not… reach for them. I have already contacted Rae Morris team about the 2 different brushes I received, also about the “confusion” on the Radiance not being included in the set, as I don’t think it is very clear, and also the missing brochure, they have already replied regarding the brochure and they sent it to me. They also have informed me that my message has been forwarded to the UK suppliers and that they will contact me regarding the other points. I will keep you informed on that as well ! Great review!!! I’m still deciding whether to get them. Realy would love to. 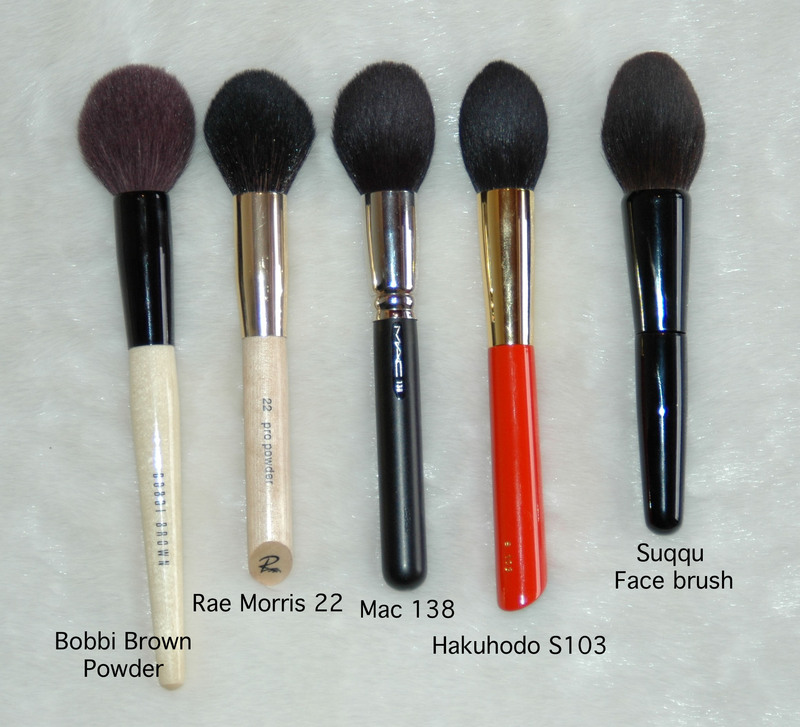 Are they as soft and as good as the Hakuhodu brushes? I have a few and love them to bits. I cannot limit myself to only one brand… but if I had to choose between Hakuhodo and Rae, I would definitely choose Hakuhodo ! 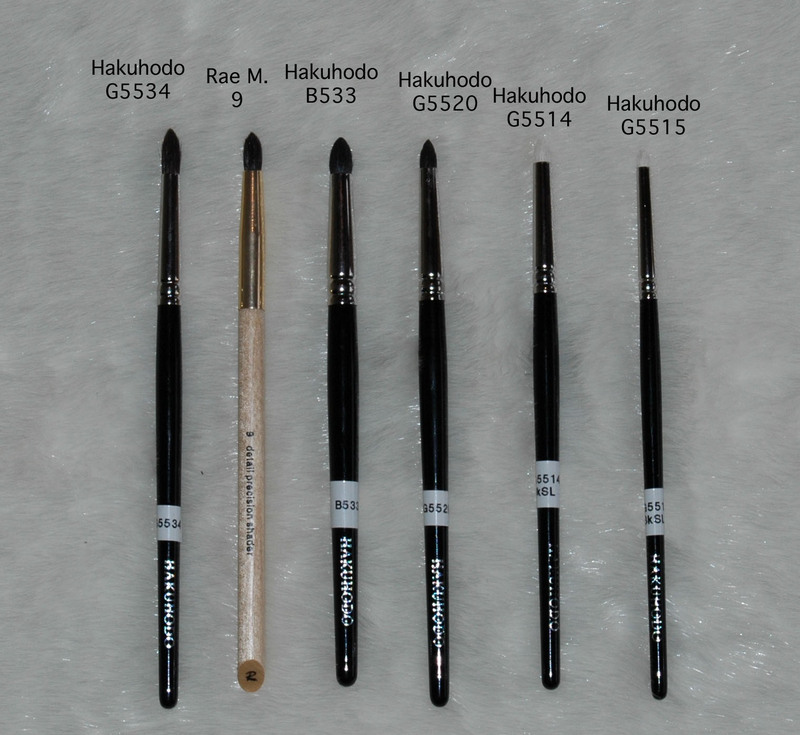 Hakuhodo are softer, but, sometimes if they are too soft they won’t pick enough product… it really depends on the product you are using and what result you want to achieve. 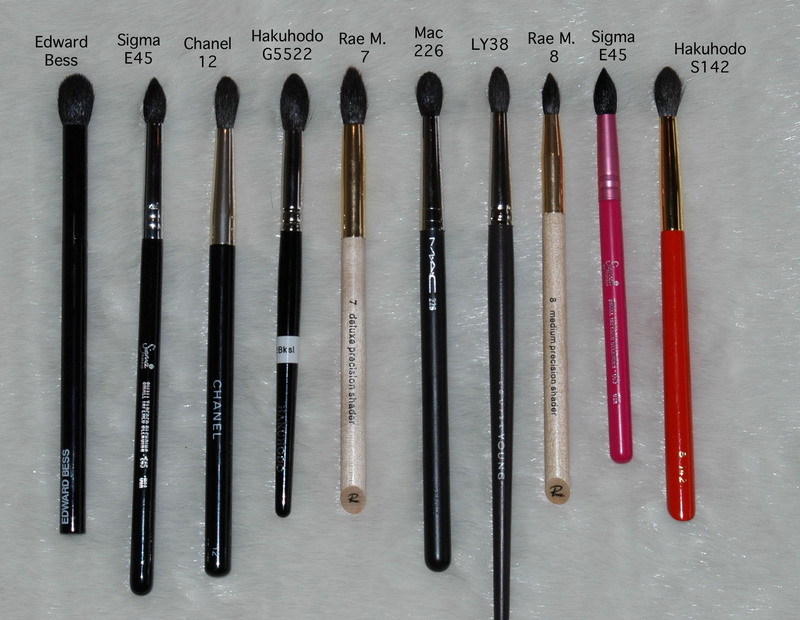 hi…loved to know about you guys….pls.suggest some nice brands…i m a make up mad…crazy for good quality precise brushes…. 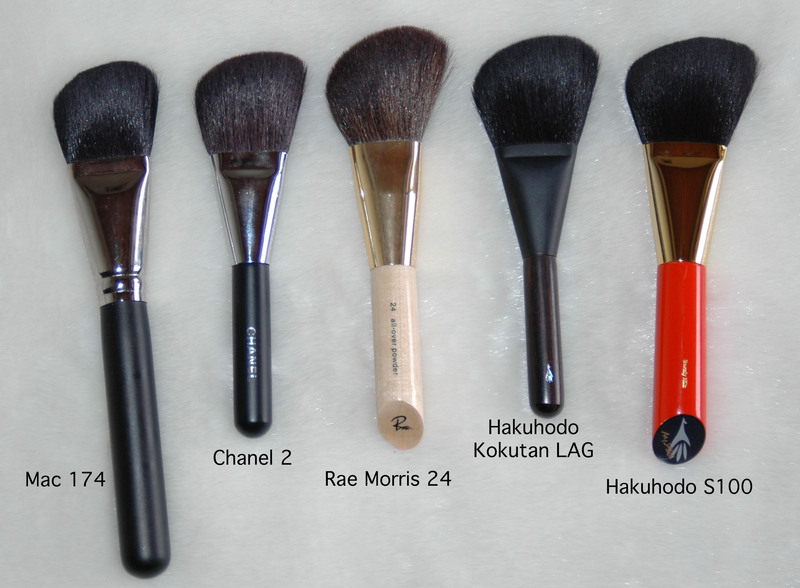 Hi, greatest brush brands : Hakuhodo, Chikuhodo, Tom Ford, etc… these are my favorites, probably the best quality you could wish for, but maybe you already tried them ? im looking to biuy some good brushes so this has really helped!! would it be possibke.for you to let me know the price you paid? I got these via Crown brushes website but they don’t sell them anymore on this site, I bought the full set at that time. You have the possibility to get them via http://www.love-makeup.co.uk or via the Rae Morris website directly. 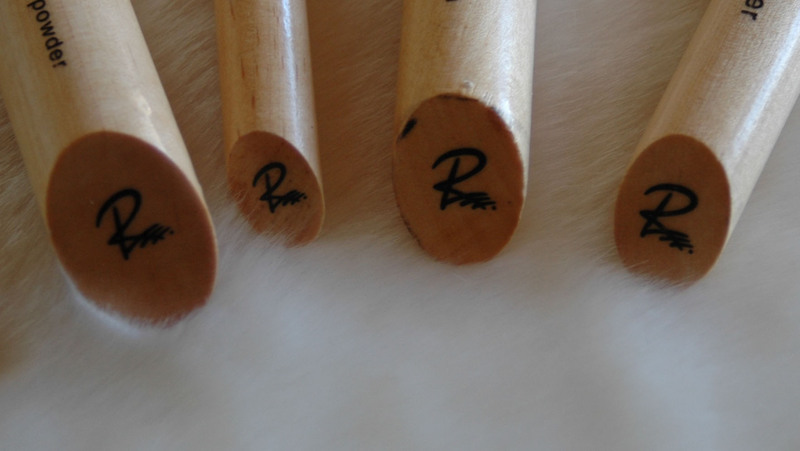 If I were to get only one of the 3 RM crease brushes 7, 8 or 9, which one should I get? My goal is to achieve that lifting, smokey look on the outer edges of my eyes. Plus, I am asian with small almond shaped eyes.